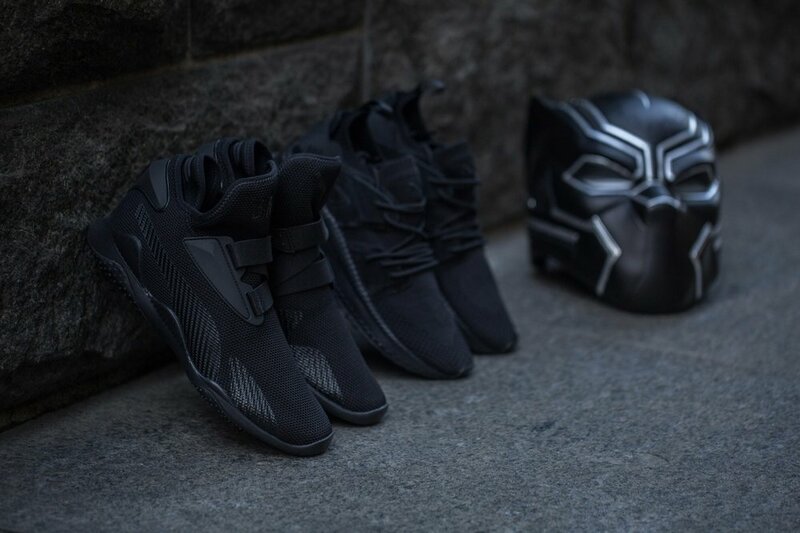 With Marvel’s Black Panther set to hit theaters next week, BAIT has teamed up with the PUMA to drop a two sneaker pack featuring the Blaze of Glory and Mostro Mid silhouette as a homage to the comic book series and movie. Both the Black Panther-themed Blaze of Glory and Mostro Mid appropriately sport a “Triple Black” color scheme and are constructed from EVOknit uppers. BAIT branding and Black Panther insoles complete the look. Winnerswill be notified on Saturday, Feb 10.